The Monongahela street department did a great job clearing the streets during snowstorm Jonas this past Friday night and Saturday morning. Property owners also worked over the weekend to keep sidewalks clear in the business district with the exception of the vacant lot at 222 West Main Street (where Vocelli Pizza used to be). 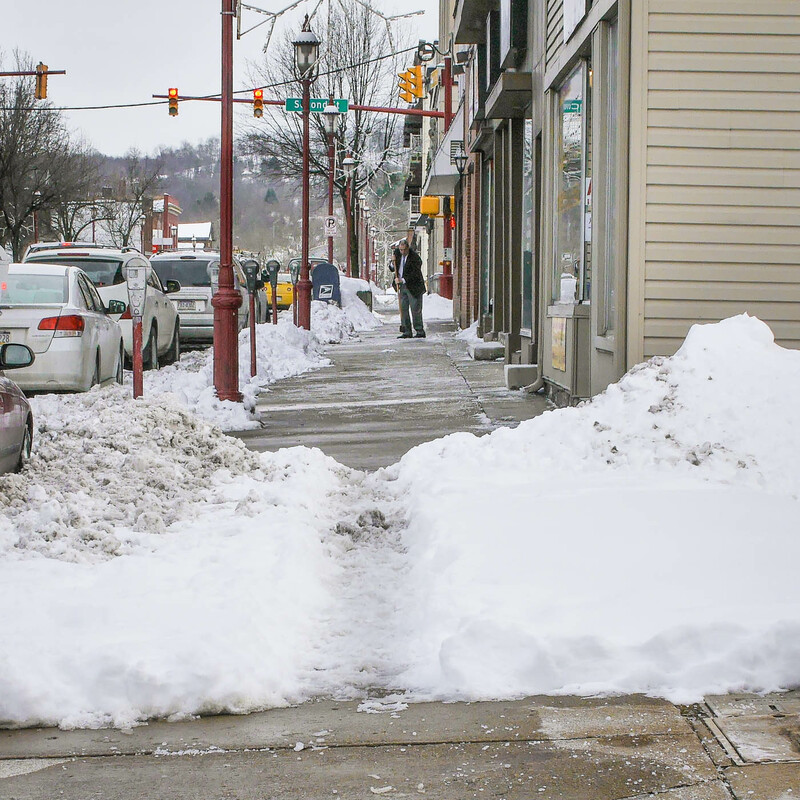 Just wondering, what do you think the city should do: (1) write a letter to the property owner informing him or her that it is their responsibility to remove snow from the sidewalk or (2) issue a citation? Cast your vote below.